(0 Customer Reviews) | Write Review 6 issues per year woman&home Feel Good You is the only wellbeing and fitness title on the market that offers women of any age, any shape, any fitness level, particularly women over 40, the inspiration to feel fabulous every day. Simple changes that fit real life are the prescription to make the most of their looks, feel younger, fitter, slimmer, reduce stress, increase vitality and live a healthier life. The magazine is divided into sections focusing on wellbeing, beauty, diet, fitness, health and ‘inner you’ and is packed with tips, expert advice and best buys. Looking for Woman & Home Feel Good You in print? Unfortunately pocketmags.com does not sell print copies of Woman & Home Feel Good You, but all is not lost. Our partner at magazine.co.uk sells print subscriptions at the best prices online. woman&home Feel Good You is the only wellbeing and fitness title on the market that offers women of any age, any shape, any fitness level, particularly women over 40, the inspiration to feel fabulous every day. Simple changes that fit real life are the prescription to make the most of their looks, feel younger, fitter, slimmer, reduce stress, increase vitality and live a healthier life. 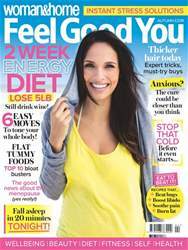 The magazine is divided into sections focusing on wellbeing, beauty, diet, fitness, health and ‘inner you’ and is packed with tips, expert advice and best buys. 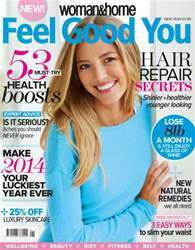 You'll receive 6 issues during a 1 year Woman & Home Feel Good You magazine subscription. 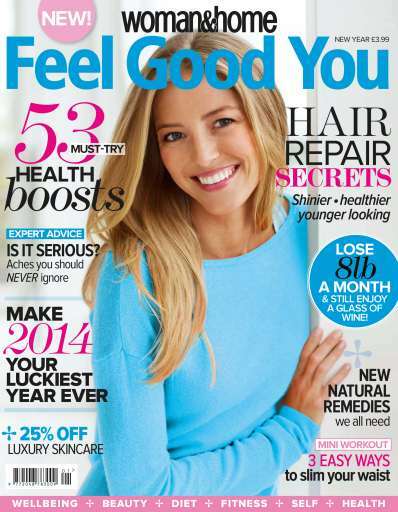 You'll receive 6 issues during a 1 year Woman & Home Feel Good You magazine print subscription.